Bristol’s world famous International Balloon Fiesta has kicked off and will be wowing crowds over the entirety of this weekend (Okay, there’s actually over 100 balloons, but we couldn’t resist the reference). Thursday (5th August) will see festivities kick off with a balloon launch at 6pm and fireworks at 9.45pm, followed by the spectacular that is the mass launch of all of the balloons from 6am to 8am on Friday (6th August) morning, with over 100 balloons taking to the sky as the sun rises. And where better to watch the event than from one of Bristol’s most famous landmarks and one of the highest points in Bristol, the Clifton Observatory? The Observatory will be open from 6am on Friday and Saturday morning for the best view in town of the balloon launch, with free entry to the viewing platform from 6am to 10am. Especially for this amazing summer event will be the launch of a new mini cafe, the Clifton Observatory Coffee Room. 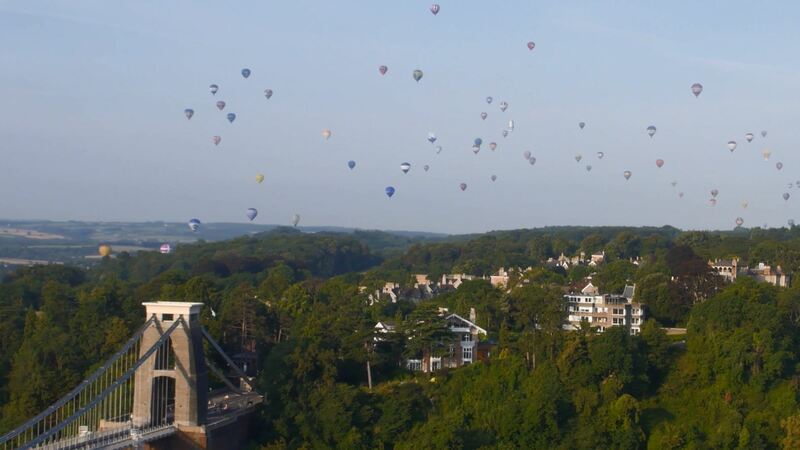 Open to runners, dog walkers, bird watchers, visitors, coffee lovers and anyone who fancies starting their day with some fantastic food and drink whilst watching the launch of the balloons over the Avon Gorge. The café will feature one of the UK’s best coffee roasters Origin Coffee, as well as great name tea, beautiful cakes, baked goods, fruit, sandwiches, crisps, olives and ice cream. The café will be open from 6am on Friday and Saturday.